Lubbock Steamer uses hi gh-powered equipment and solutions designed to clean, remove stains and odors from tile and grout. Our technicians are trained by an Institute of Inspection Cleaning and Restoration Certification (IICRC) approved school in this process and know how to clean the toughest of stains. Tile and grout are porous and ‘lock in’ dirt and bacteria. Your floor can begin to have odor problems from bacteria feeding and growing on your floor. The food source could be residue from spills, food contamination, pet urine or feces and/or pet dander. Homes with pets typically have more severe odor issues and must be handled properly or the issues can get worse. If left dirty and untreated, health problems can occur. Especially in young children who play on the floor. Typical health conditions are the common cold and can spread through your home. These symptoms can often be decreased dramatically by having your tile and grout cleaned regularly. Some other issues are yellowing of the tile’s surface (typically seen with lighter colored tile) and darkening grout lines. When there is tile and grout in the bathroom, product and makeup spills can easily become trapped in the floor crevices. Makeup has many pigments and various textures, and the more you rub the stain on the tile and grout, the more it seems to hold onto the color. It’s imperative that you use the right cleaning solution and process in order to not affect your tile’s aesthetics. 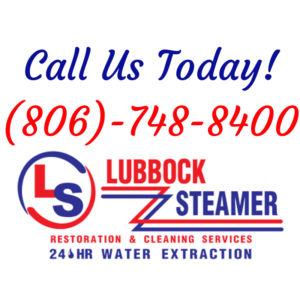 With Lubbock Steamer’s tile and grout cleaning process, pre-treating trouble areas is included. Pre-treatment will allow the solution to start breaking down the stains and soiling on your floor in preparation for the high pressure clean and rinse. Your certified technician will only use the most advanced cleaning products and professional equipment when caring for your tile floors. 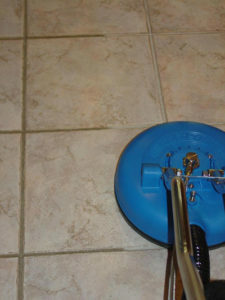 Your skilled Lubbock Steamer technician will also clean the grout lines. If you have light colored grout, you know how easily it can show dirt and how difficult it can be to clean. Mopping frequently helps keep your floors clean but is not enough to get deep into the grout lines. The bacteria and odors trapped in the tile and grout will also spoil and living space. We guarantee your tile and grout floor will be clean, sanitary and smelling fresh because deodorizer is already included in Lubbock Steamer’s tile and grout services. Plus, our powerful steam cleaning system and specially developed tile cleaner is guaranteed to remove stains. 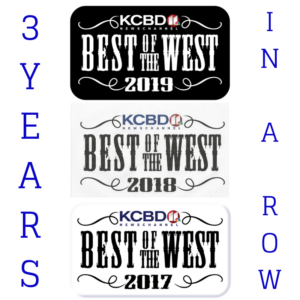 We stand behind our process and are so confident in the abilities of our highly skilled and trained technicians that we’ve included a 30-day warranty and price lock guarantee. As always, you can trust Lubbock Steamer to provide only products that are safe for use in homes with children and pets. Plus, our process has a fast drying time so you can enjoy your newly clean, germ-free tile floors! Over time, your grout can fade or begin to show imperfections. Discolored grout can really age the look of your floor and bring down the overall quality of your living space. A great alternative to re-grouting is a Lubbock Steamer clean, followed by a color sealant of the grout lines. This will rejuvenate your tile floors, providing a polished and uniform appearance. Even if you just want to try a different color to update your home interior design, this is an exciting option. In addition, grout sealant helps to repel soiling and stains so it won’t get dirty as quickly. This protective coating on your grout lines will make everyday cleanup easier and you can keep the grout looking new much longer! Lubbock Steamer offers clear or color sealant for your grout lines. 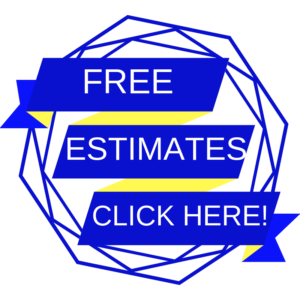 Call 806-748-8400 or go to www.LubbockSteamer.com for a free estimate.